Himmelsbach Communications has recently launched a new golf app for smart phones and tablets entitled the “Myrtle Beach Golf App,” which is an all-inclusive mobile app for planning and enjoying a golf vacation to Myrtle Beach, SC. This app is available free on iTunes or Google Play. 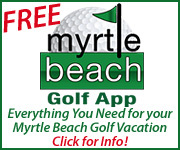 See the Myrtle Beach Golf App in iTunes. 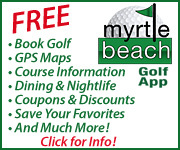 See the Myrtle Beach Golf App in Google Play. This premiere Myrtle Beach golf app is user-friendly and has an easy to navigate homescreen with categories including: Golf; Dining and Entertainment; Deals; City Life; News and Magazine; and Real Estate. From these categories, users can book real time tee times directly from the app through the secure booking system and locate hotel accommodations from Pawleys Island to Little River. 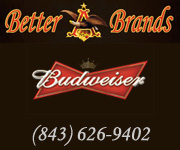 In addition, users will have virtual access to more than 100 Myrtle Beach golf courses; users can check the local weather forecast; view area deals; discover the finest restaurants, night life and entertainment packages; listen live to The Golf Director radio and other local stations; and search Myrtle Beach real estate listings. 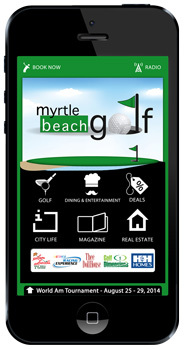 The Myrtle Beach Golf App is hosted by Appy City and sponsored by the following Myrtle Beach businesses: Sam Snead’s Oak Grill and Tavern; NASCAR Racing Experience; Thee Dollhouse; Golf Dimensions Superstore; and H & H Homes. 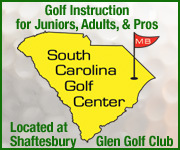 For more information on the Myrtle Beach Golf App, contact Steve Hunt or Tamatha Lewis at 843-272-8150.